Travellers planning their holidays wish to enjoy the whole experience with all five senses, and one of the most important is the sense of taste. This sense allows you to experience the destination you are travelling to through its gastronomy. At Sirenis Hotels & Resorts, we aim to make each establishment not only a good place to enjoy a deserved break, but also to awaken the appetite of guests with a wide range of cuisine. Everyone who visits us can have a full gastronomic experience thanks to Sirenis Hotels & Resorts offering an all-inclusive service. The main restaurants of the Sirenis hotels and resorts offer a buffet and have an incredible variety of dishes and menus with an international flavour. Themed restaurants are also offered within the facilities of our hotels, so that you can travel the world without having to leave the hotel. Cinnecittà has an Italian essence and decoration reminiscent of the film studio in Rome where famous films are shot, and from which the restaurant takes its name; Tappanyaki Club, where Asian flavours are prominent and cooked directly on the grill; and La Gira Rodizio which has delicious meats prepared in the Brazilian style are three great examples of the variety that we can find in different Sirenis destinations. 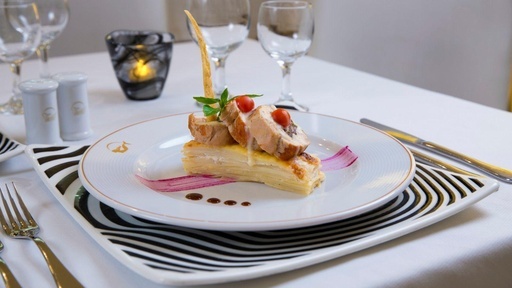 If you are a couple looking for a romantic atmosphere, there is nothing like Le Relais, with a refined French flavour served at the table in our hotel in Riviera Maya. In Punta Cana there is also the Il Giardinetto gourmet restaurant for those also seeking the most carefully selected flavours. The Mediterranean essence is retained in all establishments, especially in Ibiza, but is also present in other destinations. If you prefer, you may also opt for a variety of international dishes. Mexico and the Dominican Republic, where we find the international destinations of Sirenis, are places where the gastronomic identity of the countries may be savoured at our hotels and resorts. What would a trip to Riviera Maya be without sampling authentic tacos in the purest Mexican style? This is possible at our resorts, and we even offer an incredible Mayan themed dinner which will be accompanied by an unparalleled show, details that you may only experience if you visit our resort in Riviera Maya. If your children enjoy nature, especially aquatic animals, you can’t miss the opportunity to visit our impressive Dolphin Discovery Tulum Akumal centre, installed in the Sirenis resort in Riviera Maya, a fantastic place to discover the dolphins up close, admiring their skills and even swimming with them. Because we know that children are our most demanding guests, we ensure that many of our hotels (especially those aimed at families) have facilities designed for them: children’s playparks, zip-lines, and shallow swimming pools are clear examples of entertainment that we can find at some Sirenis Hotels & Resorts facilities. In the Punta Cana and Riviera Maya resorts we also have a Kids’ Club for children from 4 to 12 years of age, a place to have fun with other children, allowing parents to take time to relax without having to worry about anything. Of course, some of the entertainment that we offer at our hotels is aimed at children, because they also deserve the holiday of their dreams. There is nothing better than travelling as a family; a unique opportunity to dedicate time to the most important people and create lifelong memories. 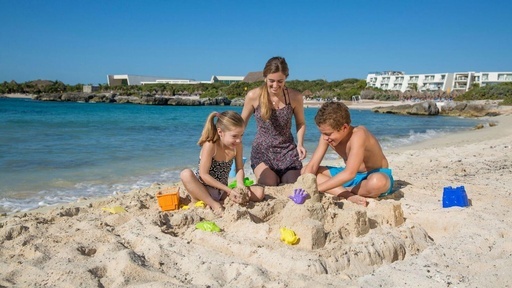 At Sirenis Hotels & Resorts, one of our most important concerns is that our clients travelling as a family have all necessary conveniences and services so that children and adults feel at home. Romantic dinners under the stars at top quality restaurants, lush gardens for taking long walks hand in hand, exquisitely decorated rooms for finding the intimacy necessary for all couples, or simply having a massage for two at the spa of the hotel are some of the services that we offer couples in love. At Sirenis Hotels & Resorts, we also ensure that beyond the facilities, the happy couples can create unforgettable memories, helping them to find the most romantic areas of the Sirenis destinations, such as deserted beaches and the most romantic excursions that can be made nearby. 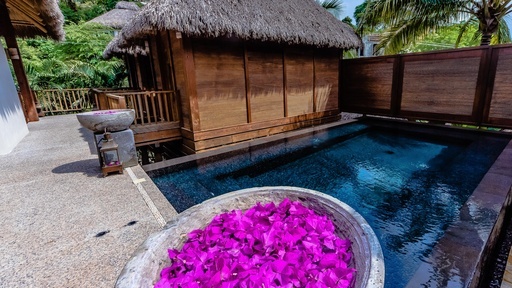 All destinations are ideal for enjoying an unforgettable honeymoon or a simple trip as a couple. 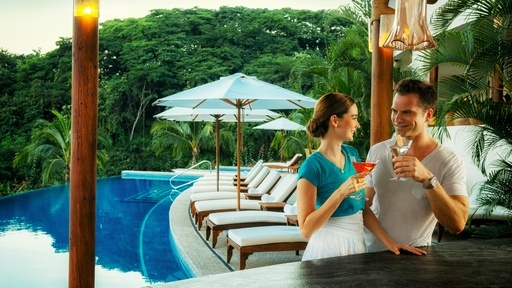 One of the most recommended destinations for a romantic escape is Riviera Nayarit, a fantastic place to discover where we can find the Grand Sirenis Matlali Hills hotel, which has all the necessary facilities, especially its incredible Makawé spa, for having a unique holiday as a couple. Here you can stay in its exclusive adults only area, guaranteeing all the necessary intimacy and tranquillity that couples seek. The hotels of Ibiza located in Playa d’en Bossa, Sirenis Hotel Tres Carabelas & Spa and Sirenis Hotel Goleta & Spa, may be a great destination for any couple or group of friends, as the facilities are designed for the relaxation of guests, and the tourist area where they are located has a wide range of leisure activities for satisfying all expectations of the trip. The magic of travelling with a loved one is an experience that money cannot buy, but which can always be improved if it takes place in dreamlike surroundings. This is our mission at Sirenis Hotels & Resorts: making every stay as a couple an unforgettable memory for both for the rest of their lives. Grand Sirenis Riviera Maya, in Riviera Maya, also has a spa in its facilities, whose architecture seems other-worldly. It is known as Spa Grand Sirenis and here simply floating in the swimming pools or enjoying a massage will be the best way to find inner peace. Its facilities are notable for body treatments and wraps, its rest areas, the indoor and outdoor swimming pools where you can enjoy a hydromassage, and especially its steam areas for enjoying a Mayan style Turkish bath known as Temazcal. In Ibiza, the Sirenis Vital Spa also knows how to care for its guests, being at the service of those who stay at Sirenis Hotel Goleta & Spa and Sirenis Hotel Tres Carabelas & Spa. In addition to various sports facilities, Sirenis Vital spa will relax its clients with its immense heated swimming pool, its incredible water circuit that includes a sauna, Roman thermal bath, jacuzzis, cold baths, jet showers, Scottish showers and a relaxation area. As you can see, it has complete equipment, having thought of everything. These are the three special destinations that have a complete spa service, although in some of our hotels we also offer basic health and beauty treatments to our guests. Holidays are a great time for disconnecting and recharging our batteries, to afterwards be able to return to the daily routine with a smile on our face. If we have the luck of travelling to and staying at any of the Sirenis hotels and resorts, this recharge is more than guaranteed, as the facilities and services are prepared for taking care of each guest as they deserve.